Relate: I am not a big fan of ferris wheels. They go up, and down, and up, and down… yawn. It is one unending slow cycle where absolutely nothing happens. The perspective might change a bit between top and bottom but after one full rotation or two even that gets old. I don’t need to spend any money to experience that. All I have to do is live life. Roller coasters are only a bit better. Yes, there appears to be forward motion but think about it. You are still going up and down (quite a bit faster) and you still wind up right at the point you began. You might enjoy the ride a bit more but still nothing has been accomplished. 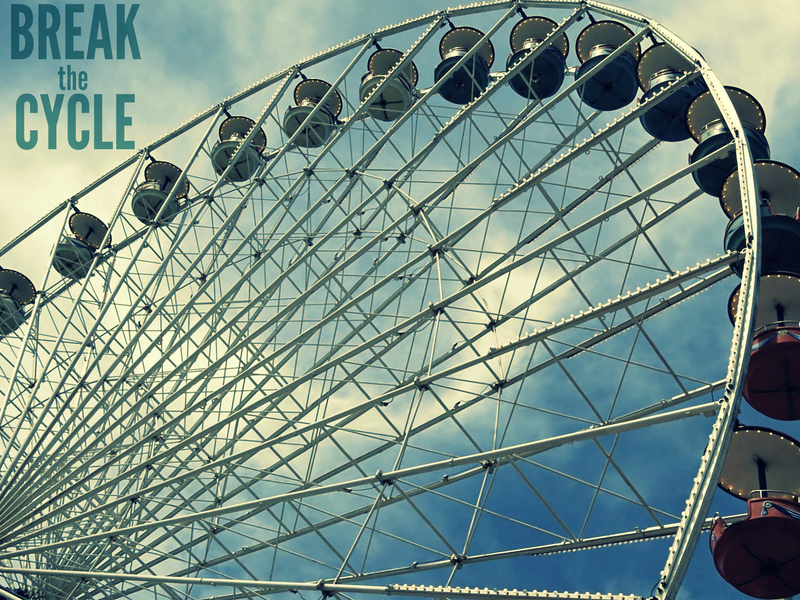 Amusement park rides might be great for a bit of amusement but they should not be the model for how we live life. The book of Judges is a great one to pull from when you are teaching a group of young boys. If they are complaining that the Bible is too boring, this is where you should take them. Think about it, you have a guy so fat that the sword that kills him literally gets swallowed up in his belly. The one who wielded that sword then makes his escape by sneaking out… wait for it… the toilet! Another guy lays down to take a nap only to have a woman drive a tent peg through his skull while he is sleeping. Then there’s the guy who gets squashed by a huge stone dropped from the wall of the city he is trying to conquer. I haven’t even mentioned Samson yet. Imagine trying to catch a couple hundred foxes, tying their tails together, then lighting them on fire and setting them loose. This is storytime heaven for young boys. There’s a program called Royal Rangers which is a Christian version of Boy Scouts and I was walking through the stories in the book of Judges with them. At the beginning of every lesson, I would stand before them and move my arm like a ferris wheel or the hand of a clock. As I did so the boys would shout out, “Rebel! Wrecked! Return! Repent! Restore! Rebel! Wrecked…” This is the cycle of Judges. Everything would be fine and then the people would rebel against God. When they did so an oppressor would come along and their “fine” lives would be wrecked. They would then return to God and repent of the wrong they had done in abandoning Him. He would send to them a Judge who would lead in restoration and redemption… only until they rebelled again. React: How often does my life look like the Judges Ferris Wheel? I am prone to wander. I am unfaithful. I have a nasty rebellious streak and all too often it leads me straying away from what God has planned for me. I want to do things my own way. Inevitably, though, my own way turns out to be a spiritual wreck. I mess things up. I find myself calling out to God about the unfairness of life. He sends a friend, a pastor, or even a word that helps me to get back on track. I repent. He restores. Then things are fine again… until I start to wander. How can I get off this ferris wheel of life? God, I need You to rescue me from this cycle of life. On my own I am guaranteed to keep going up and down. On my own I will continue to fall and fail again. Only you can get me off this cycle. Only through Your strength can I rise above. I ask for Your help. Help me to continue to remember that I am always totally dependent on You for my victory. No other way is possible. Reblogged this on moven1's Blog. The context being a discussion of how living under the law and by self effort reveal and unleash our sinful tendencies. Thank God for Jesus Christ our Savior who took our sin and punishment. It’s in centering my life on His beauties, perfection, and finished work and receiving His grace, that the vicious cycle comes to a halt. I’m looking forward to reading more of your posts. So true about the repetitive cycle we can fall into in our relationship with God.